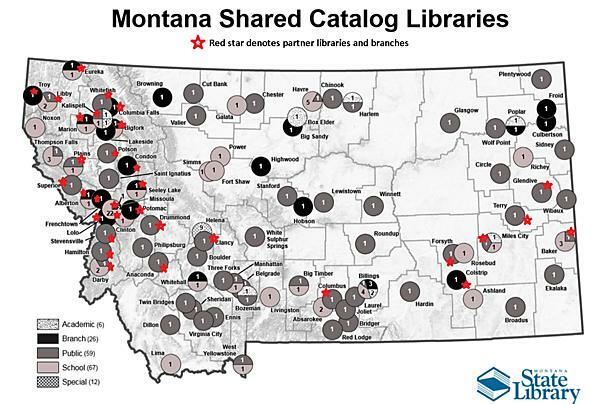 The State Library has mapped all the libraries using the Montana Shared Catalog. We’ve added red stars to give you a bird’s eye view of which libraries and their branches are Whitefish Community Library’s partners in the MSC Partners Group. As you can see, being part of MSC Partners allows us to share across Montana.